Marjory Stoneman Douglas was one of the nation’s most significant environmentalists. Astonishing in its breadth, her writing and activism on behalf of South Florida’s natural environment spanned much of the twentieth century and permanently reshaped the national understanding of the Everglades. In 2014, the National Collaborative for Women’s History Sites (NCWHS) and the National Park Service (NPS) began a collaboration that aimed to recognize Douglas’s place in twentieth-century U.S. environmentalism as part of the NPS Women’s History Initiative. In April 2015, Sally Jewell, U.S. Secretary of Interior, designated her lifelong home in Coconut Grove, Florida, a National Historic Landmark. The Marjory Stoneman Douglas House joins about 2,500 other National Historic Landmarks that have been recognized by the Secretary of Interior as exceptionally significant in the nation’s history. In the early 1920s, Douglas asked architect George Hyde to design her a small house on Stewart Avenue in Coconut Grove, a community in Miami. She would spend the next seventy years writing and organizing eloquent defenses of South Florida’s natural environment from the Stewart Avenue cottage. When she published River of Grass, Douglas was almost sixty years old and had enjoyed a long writing career that included fifty published short stories and twenty years of magazine writing. But it was not until twenty years later, at age seventy-nine, that Douglas became an activist, solidifying her place in the history of U.S. environmentalism. In 1969, Douglas met Judy Wilson, a Florida Audubon Society member who asked her what she had done recently on behalf of Florida’s natural resources. Douglas mentioned writing River of Grass, to which Wilson replied: “That’s not enough.” Douglas mumbled a promise to do what she could. The next day, environmentalist Joe Browder arrived at Douglas’s home to encourage her to oppose a proposed jetport that Dade County was planning to build in the middle of the Everglades. As Miami had boomed in the late 1960s, officials drew up plans for a massive facility that could make the city more accessible by air. The jetport would be the largest in the world, bigger than the next four U.S. airports combined. When Browder proposed Douglas start an organization to oppose the jetport, she agreed. Douglas and her new organization, the Friends of the Everglades, joined the burgeoning late twentieth-century environmental movement and converted the defense of the Everglades into a national cause. In 1980, Florida’s Department of Natural Resources unveiled its new headquarters in Tallahassee, the Marjory Stoneman Douglas Building. In 1984, Florida declared a “Marjory Stoneman Douglas Day.” And in 1993, President Bill Clinton awarded Douglas the Presidential Medal of Freedom. Douglas passed away in her Stewart Avenue home in 1998 at age 108.Today, thanks to the hard work of the NCWHS, Marjory Stoneman Douglas’s role as a defender of Florida’s natural environment and her lifelong Coconut Grove home have been recognized as an important part of our national heritage. Antonio Ramirez teaches history and political science at Elgin Community College. 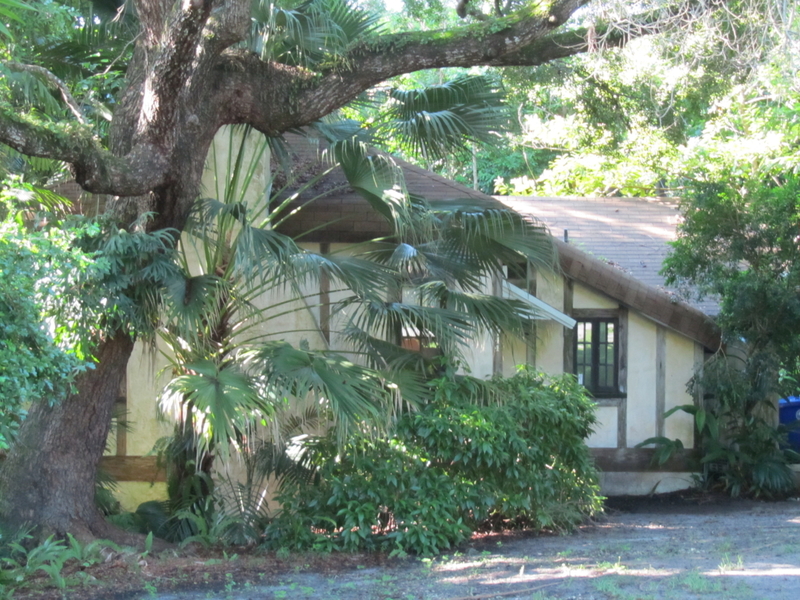 He prepared the National Historic Landmark nomination for the Marjory Stoneman Douglas House.